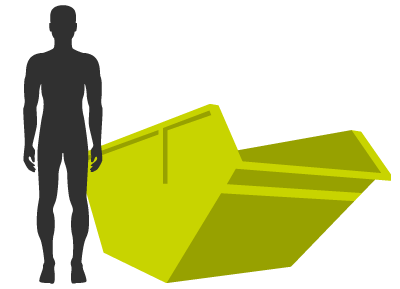 Small enough to sit neatly on any property, but large enough to hold up to 25 bin bags our mini skips for hire are fantastic for small domestic clearance jobs. Our Mini Skips are surprisingly robust for their size and would best suit house and garden clearances. Our 2yd skip options are surprisingly robust for their size, these skips are perfect for house and garden clearances. The skip will take approximately 25 bags of waste. The 3yd open skip option is ideal for kitchen and bathroom refit waste. The skip will take approximately 35 bags of waste. The 5yd open skip option is perfect for both business and domestic use. It is ideal for customer who want extra space without having to order our standard builder’s skip. The 6yd skip option is our most common builders skip, this is ideal for bulky or heavy waste (soil/hard-core only). The skip will take approximately 55 bags of waste. The 8yd skip option is ideal for light bulky waste types. The skip will take approximately 70 bags of waste. The 12yd skip is ideal for large household clearances, we can even provide an enclosed version. The skip will take approximately 80 bags of waste. 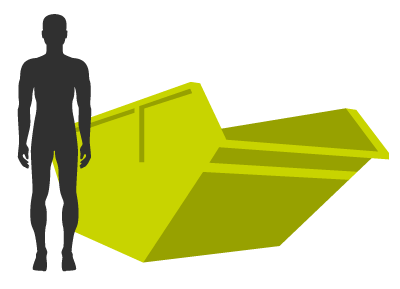 If you are looking to hire our 15yd / 20yd RO/RO skip then please contact us on 01666 505800 for more information on this skip option. If you are looking to hire our 40yd RO/RO skip then please contact us on 01666 505800 for more information on this skip option. If you are intending to have a skip installed on a road, highway or any other public land, you will need a skip permit. We can sort this for you. If you are looking to place a skip off road on private land, no skip permit is required. What date will you need the skip? Please note: If placing a skip on the road we require 7 working days for a permit to be approved. An additional cost will apply for a permit. Our sales team will confirm if these dates are available in their confirmation email. I consent to my submitted data being collected and stored via this form. The submitted data in this form collects your name, postcode, email and telephone. Please click here to view more information about how we protect and manage your submitted data. Our competitive prices are hard to beat, providing you with the best value for money as well as a dependable, professional service.